当我订我的旅行波哥大, 我选择了留在圣巴巴拉附近. 当我问身边, 大家说，这是安全的, 但距离市中心很远. What finally sold me on the neighborhood was the awesome Airbnb I found (ask me about it if you’re going to the city). 我有大约没有想到的是，从圣巴巴拉仅几步之遥就是波哥大Usaquén附近. 当然, 圣巴巴拉可能不会有型有款, 但Usaquén是. 这是一个可爱的邻里充满鹅卵石街道，从它的中心广场散发. 有万吨购物, 艺术, 跳蚤市场, 但最重要的, 有食物. 有惊人的食物. 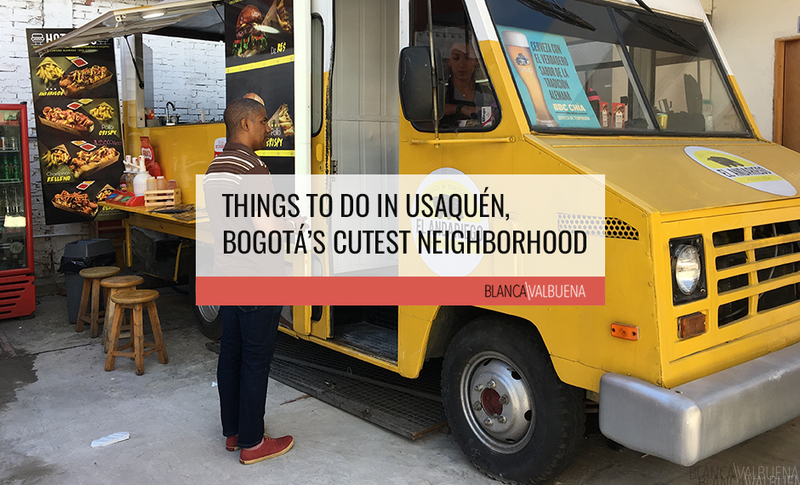 If you like to eat, Usaquén will quickly become a regular place while you are in Bogotá on vacation. 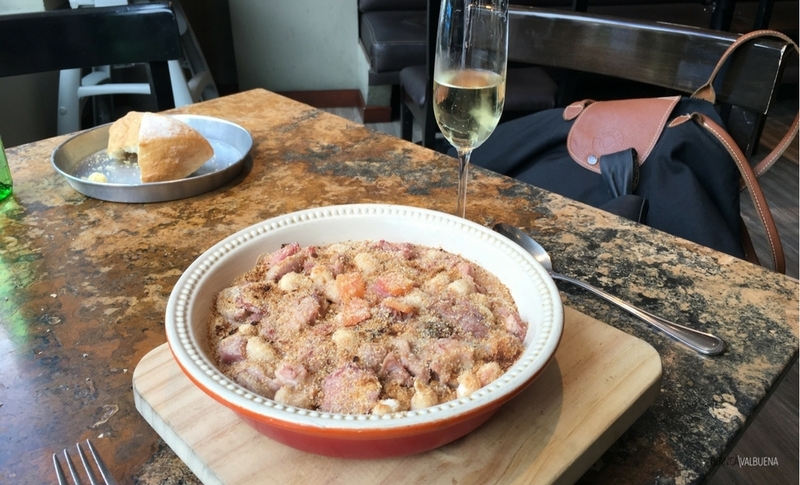 These are (IMHO) the best restaurants in Usaquén. Bistronomy: FRENCH: 至今, 这是在波哥大我最喜欢的餐馆. 这是兄弟劳施的创建和一个亲法的一种享受，如我. 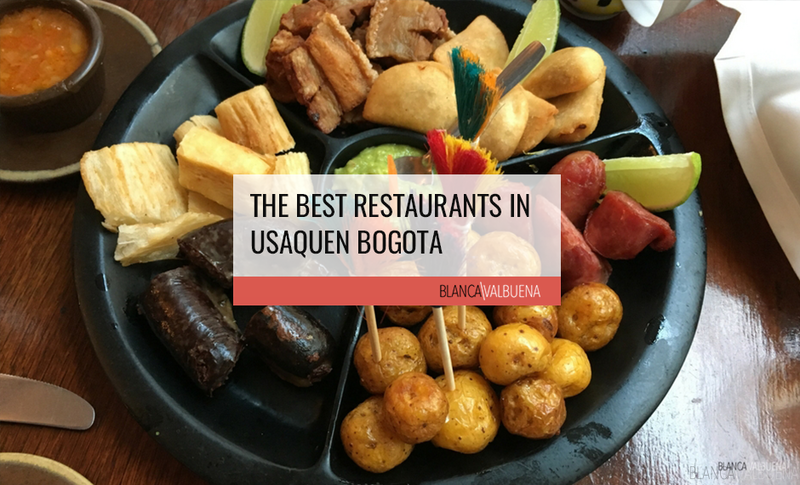 The restaurant has a refined but casual dining atmosphere and a solid wine list (much better than I’ve seen in most of Colombia). 在餐厅的食物不 100% 法国, but they do serve some dishes from Alsace (Chocrute on Sundays), and Burgundy (the cassoulet was so damn good, 它的成本 $45,900 COP – around $17.50USD). Antonio had the sous vide Ox Tail ($42,900 COP – $14.60USD). 它是去骨和一起放回，简单美味. 我们回到上周末的晚餐，并给我们带来惊喜, 有现场音乐. 食物是第二次一样好身边. 普罗旺斯安德烈: FRENCH: 必须有一些严重的Francophiles在这方面，因为我发现没有一, 但有两个真棒法国餐馆在附近. La Provence serves food from the South of France (kinda obvs, right?). 这里的气氛古朴而舒适. 服务器穿普罗旺斯的经典条纹衫. The menu was a tad too large (I like a smaller menu – makes it easier to choose), 但菜是典型的普罗旺斯. 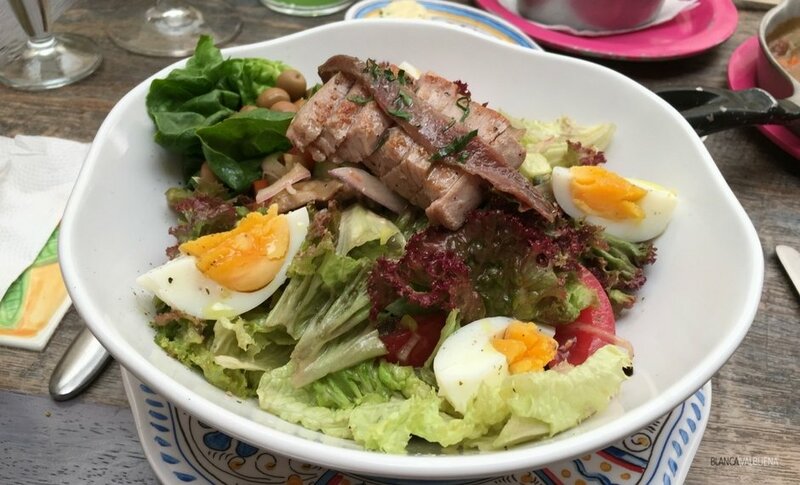 I went with a simple dish, Salade Niçoise ($36,400 COP – $12.50 USD). It was done right – anchovies, beautiful tuna cooked the way I like it (medium rare). 我会要求餐馆更改的唯一事情是由玻璃服务于普罗旺斯的玫瑰. 葡萄酒是一两件事，总是让我想在哥伦比亚的餐馆. 酒单是这里好, but I can’t order a bottle by myself – so…if you’re reading this Andrei – get a nice rose on your btg list. Other than that this place was lovely – did I mention they sent me off with freshly baked chocolate croissants? What a lovely touch. 女士图尚: CHINESE-PERUVIAN: 体面的中国菜是很难在哥伦比亚得的. 良好的中国菜，甚至很难找到. 老实说, 不是 100% 中文. The restaurant is Chino-Peruvian…and it works (I’ve always liked this combination). 秘鲁料理有中国的影响力有着悠久的历史. 我对餐厅最喜欢的事情是开放式厨房. 你可以看到，一切都被做了超级新鲜, 超洁净, 并立即. I went with a simple dish – Wonton soup. 安东尼奥有LOMO saltado. 两人都是相当不错. One big snafu – most of the dim sum had shrimp in it (the options that did not were not things we’d normally order), 所以这是一个坏消息，因为安东尼奥不能吃贝类. 我问所有的中国餐厅总是提供贝类他们点心可自由选择. 这会让他如此开心. 我听说他们有一些真棒鸡尾酒, 所以我很快就会回来，以在该报告. 泰姬陵: INDIAN: 这是罕见的在哥伦比亚辛辣的食物. 大多数印度餐厅提供足够细的印度美食, 但要求辛辣未落让你良好的散热. 不泰姬陵. We asked for spicy & we got spicy. 除此之外, 食物是美味. 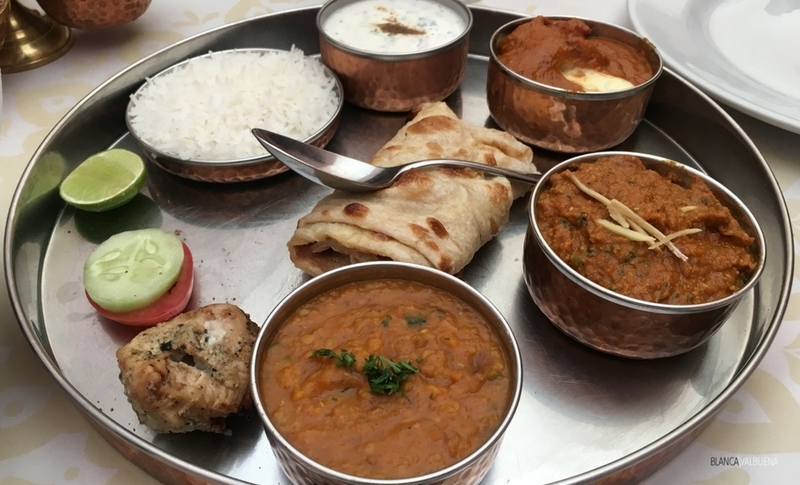 Antonio & I shared the Maharaja Thali which consisted of a starter, 3 主修课, 光滑, cachumbar, 印度香米和印度烤饼. 这道菜花费了我们 $58,500 警察, 这大约是$ 20USD. 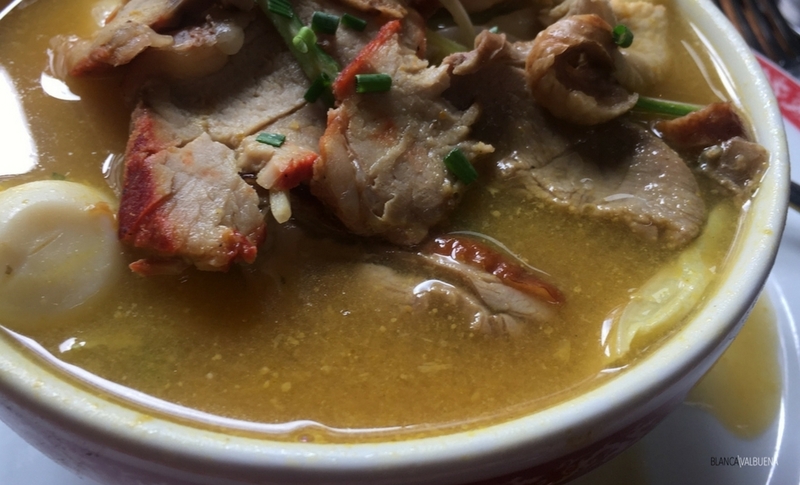 随盘附带的酱鸡是可笑的好。豆蔻的风味, 新鲜肉类, and fair portions (for US standards – not Colombian standards) are all at the Taj Mahal in Usaquen. 卡萨别哈: COLOMBIAN: 我还在犹豫要访问这个地方，因为它有温网上的评论. 然而, 原因是在几秒钟内清楚，我尝到了食物后. 哥伦比亚人被评级哥伦比亚哥伦比亚餐厅. 他们是这个地方的方式更严厉的，因为它比大多数地方价格较高. 没有为成本的一个原因. 这里的食物很壮观. 如果你想品尝美食哥在一个可爱的设置, 这使得一个完美的地方. They serve food not just from Cundinamarca (the State where Bogota is located), 但提供的菜肴从该国其他地方. 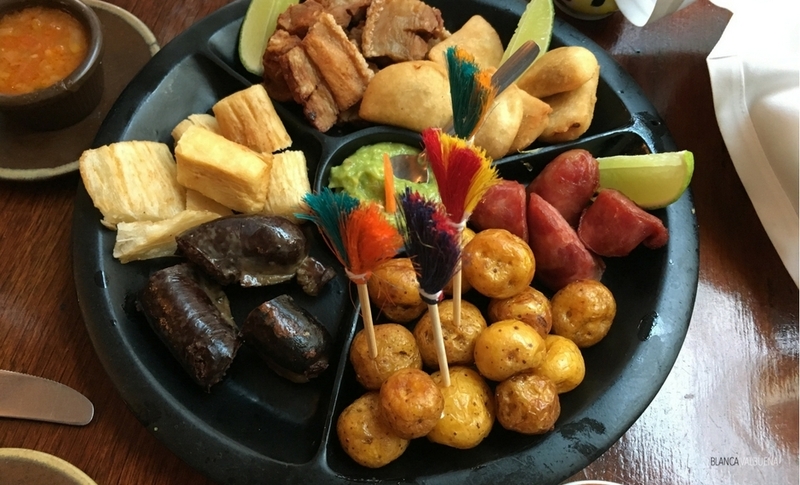 The picada was excellent ($27,900 COP – roughly $9.50USD). 它说，它是 3 人, 但容易喂养 4 我们与包括馅饼, 碎渣, 黑布丁, 爸爸criolla, 鳄梨酱和炸尤卡. They even had cow tongue ($31,900 COP – roughly $11 USD) on the menu (I know you’re probably grossed out, but it is really tasty – just remember how you used to hate ox tail). 舌头被精美的熟, 招标来到了奶油酱. 有一两件事，我不会在这里推荐的是果汁. 这是唯一失望的地方, 但它是如此轻微，我仍然给这个地方一个巨大的竖起大拇指.